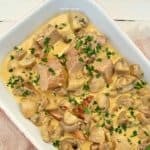 Herb and Mushroom Chicken is tender, juicy Chicken smothered in a delicious Herb and Mushroom Sauce which makes this the perfect all season dinner Like a saucy meat dish ? 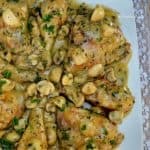 This Herb and Mushroom Chicken is perfect ! Saucy, full of flavor and the meat is tender and juicy. 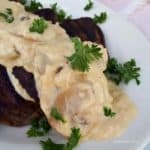 Salisbury Steak with an amazing Mushroom sauce – this *makes* this Salisbury Steak a wonderful, comfort food – perfect dinner on a cold day or when you are craving old-fashioned goodness ! 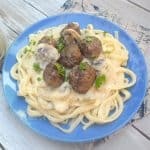 We love a good Salisbury Steak and the gravy in today’s recipe is most delicious and really makes this a winner. 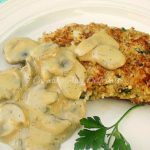 Homemade Mushroom Sauce for Steak is the best and this recipe is so quick and easy. Definitely one to go into your recipe collection ! 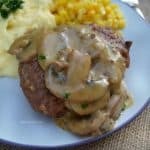 Mushroom Sauce is and will always be a number one to serve with steaks. This sauce can also be used on burgers or on vegetables such as cauliflower.